HomeShop by CalendarNational Poverty in America MonthWhite Awareness ProductsVictims of Terrorism AwarenessBoston Strong Marathon Memorial Wristband - Adult 8"
Currently sold out. More available in early May. 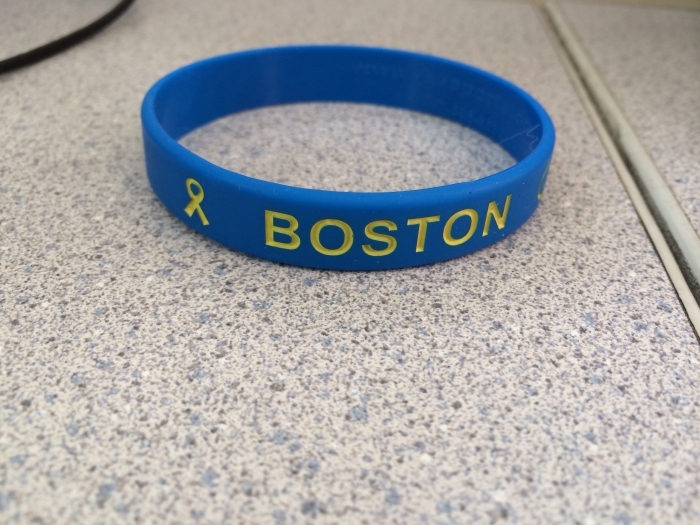 Wear our Boston 26.2 Strong 4.15.13 rubber bracelet wristband in blue with yellow color filled debossed letters. Whether your shout out is to remember those children and adults lost in the bomb attack, or a resolve for strength, or to wear while running with Boston on your heart, this is the wristband for you. This SupportStore designed wristband is made of blue 100% silicon rubber, debossed with yellow filled letters, in a universal adult size, individually packaged. This size fits most teenagers and adults. There is no better way to remember this tragic attack than with this durable and comfortable wristband. As a New England native, it means a lot! Received item in a timely manner and it's going to such a great cause. I had family that ran in the marathon so I appreciate them allowing one item orders. Bought these for my husband and me. Bright, true colors, clear font and design, and fits our different-sized wrists perfectly! Better than my other bracelet! 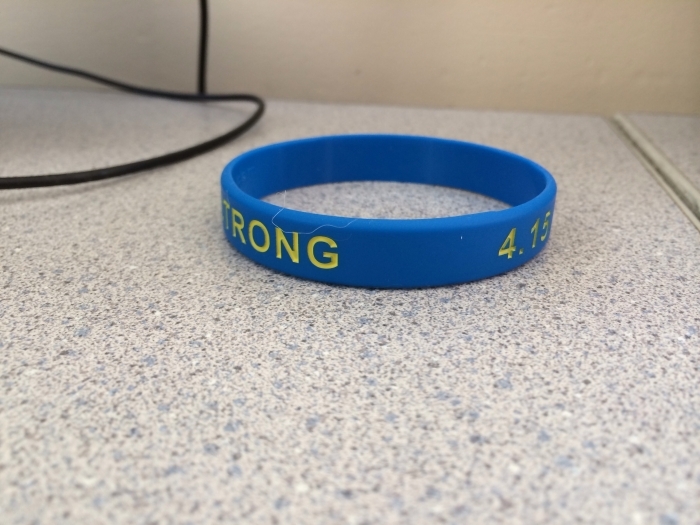 I had purchased a Boston Strong silicone bracelet on Amazon.com had it for a while but it didn't hold up to everyday wear. I replaced it with this great one and the thickness is much better quality than my other one. I love the colors and the fact it's a memorial wristband makes it worth it. Perfect for this New England native. Super item, very fast shipping, totally SATISFIED! Great way to support the cause. We are proud to be Bostonians and therefore wanted to support the cause.